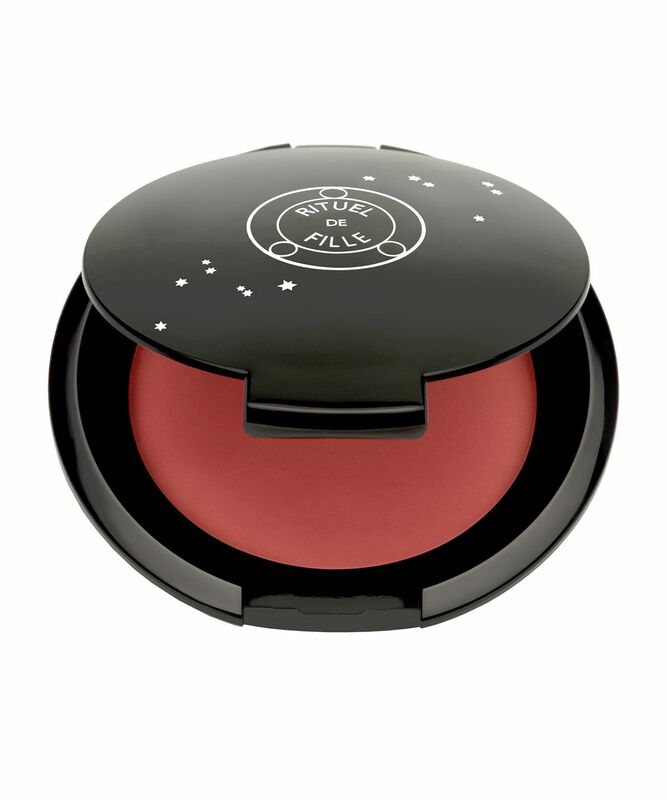 The secret to beautiful, lit-from-within skin, Rituel de Fille’s Inner Glow Cream Blush is perfect for mimicking natural, pinched-your-cheeks prettiness. Beautifully dewy and easy to blend, these virtually melt into your skin – diffusing seamlessly for the most realistic flush that lasts. 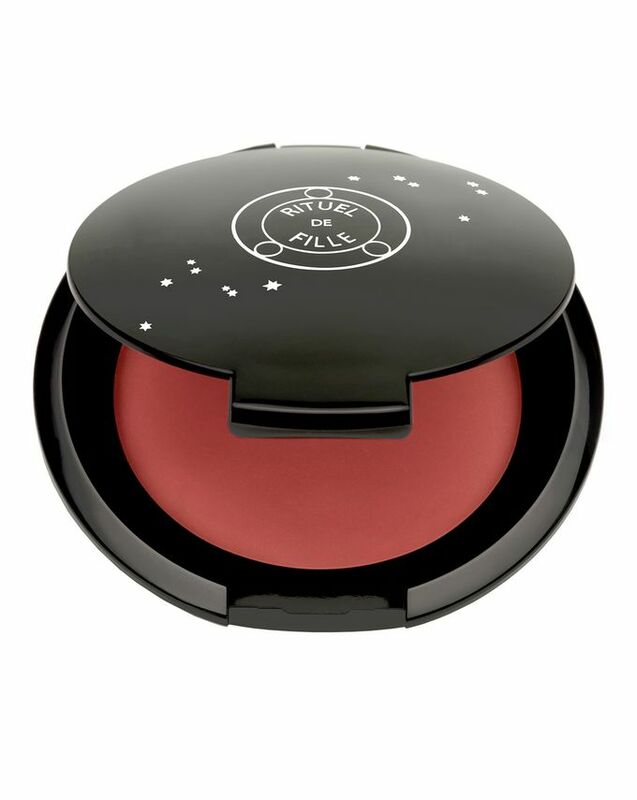 Rituel de Fille’s Inner Glow Cream Blush is ultra-versatile and rich in skin-conditioning ingredients to hydrate while bestowing the most gorgeous, creamy radiance to cheeks, lips (or even eyelids). Created in-house using only essential ingredients (you won’t find any extraneous ‘fillers’ or synthetics) – each painstakingly selected pigment, oil and wax serves a specific purpose. Both the raw ingredients and finished products are cruelty-free, and made with 99% natural extracts to nourish and enhance your complexion with wearable, buildable washes of colour. Choose from seven, sumptuous, flattering shades: ‘Lovesick’ (an innocent blush rose), ‘Frenzy’ (a lustrous berry), ‘Spellbound’ (a glimmering, hazelnut shade that is perfect for bronzing and highlighting), ‘Rapture’ (a pretty cool pink), ‘Desire’ (a chic creamy mauve), ‘Delirium’ (a juicy, ripe nectarine hue) and 'Eclipse' (a sheer, shadow-shade that is ideal for subtle sculpting). I got Desire and like it very much. I use it all over the face. It's easy to apply and blends well. Only thing I don't like - it disappears from my face quick so I have to reapply often. I'm not used to contouring my face. I usually use only eyeliner and mascara, but now it's my everyday contour and I just feel a little bit more like an Adams family member. I have light, oily, mid-30s skin with neutral/warm-ish undertones. I also live in a 24/7 hot and humid country. I got this blush in the shade Desire. It was startlingly dark in the compact, but once I applied it on my cheeks - oh my God. It gave me the prettiest natural flush to my skin. It also has a lovely texture - creamy but not slippery, so I just applied it with my fingers. Very easy to blend. I then set it with powder to get that glow-from-within look. To top it all off, it stayed put on my face despite my oiliness, the tropical climate and the daily grind of work. I'm definitely collecting more colours! I have a light-medium skintone that leans neutral/olive (around nc23-25) and I got this in the shade Frenzy. Love how easy this is to use and it’s got great longevity on my cheeks even though I live in hot, humid Singapore. Beautiful colour, great ingredients, does not irritate my skin nor clog my pores, can be used with fingers or a stipple brush - what else can I ask for? Just bought the one in Spellbound as I liked this formula so much! I feel free to recommend these cream blush to all makeup artists and just in a cosmetic bag. Convenient packaging, well blending into the skin and give the effect of a natural blush. You can apply a blender or brush. For light-skinned, I recommend rapture color and for slightly tanned the lovesick color. I just got the shade Desire and I was a bit hesitant when it arrived because it looks quite dark in the compact, but it is super easy to apply, doesn't disrupt the base makeup and gives the most beautiful naturally flushed look. It's already my favourite blush ever. I love blush - especially a good cream blusher. I bought Lovesick and it is gorgeous! A little goes a long way, it is so easy to blend out and build up if you want more colour. It gives such a beautiful, healthy glow. I love it. Going to order Delirium next. Thoroughly recommend Lovesick. I have spellbound, lovesick, and delirium. I'm so extremely happy with them and now I'm eyeing frenzy. They make you look healthy and they just stay on ALL DAY. I ordered the colour Desire and couldn’t love it anymore. I was afraid it would be too dark on my light skin that I can sheer it out and it gives a beautiful plummy/rosy flush to my skin that looks so natural and gives great definition to the cheekbones. I have not used any other blush since. I adore the natural ingredients and the creamy consistency, especially for winter skin. But it’s also super light like you have nothing on, so it’s also great for summer. Beautiful packaging, too! I've been using the shade 'Spellbound' as a bronzer - don't be put off by the swatches, I'm very fair and it just leaves me looking sun kissed - and I am officially in love. It's so buildable, blends effortlessly and leaves a subtle sheen that looks like you're glowing from within. Now I just need to get it every shade. I bought Lovesick and Rapture, waiting for Desire now, coz the blushes are so smooth, easy to blend over, I have got several cream texture blushes from other brands, not as smooth or moisture as Rituel, highly recommended. I've got Desire and really enjoying the easy usage of it. Good for cheeks, lips, eye shadowing. Very easy to control and blend with fingers, looks natural and fresh. Thinking of getting other color too. During the day I have to repeat blushing cheeks, because it slightly fades away, but it's not a big minus of the product. I usually dont write reviews but after using this for a while now I just have to. It's my go-to blush and was worth every penny I spent on it. Desire gives the perfect "flushed from the cold" look and lasts all day on me, it blends like a dream and gives the slightest little sheen. It also works amazingly as a matching tint for the lips. I honestly use it every day and cant imagine finding anything close to this. So glad this worked out. Great formula (not sticky or tacky at all), lovely colour (works on lips and cheeks - I got Lovesick). It's matt and not shiny which works very well. And nice mirror in the compact too. Now that's a success story! Purchased after seeing this item used and reviewed online. I’m 44, fair, cool toned, blonde with blue eyes. Really pleased with the shade Rapture and the way it applies. I’ve been using it on my lips too. It goes on well and has good colour payoff, I would purchase again and try other colours. I wanted to get my hands on this since it was released. I was more than happy to find this shop and that it was sold here. Its the most amazing contouring shade for pale skin tones. 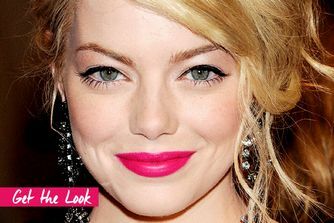 It's an amazing lip colour, a fantastic eye colour. If I had to travel light, all I would take with me is this product, a concealer, my eyeliner, mascara and powder and I wouldn't even miss a thing. I can't believe how much I love this product and that I ever lived a day without it. I bought this for dramatic, gothy contouring but was pleasantly surprised by its versatility. These are very sheer, but extremely buildable. The formulation is great for dryer skins and goes on smooth. They blend easily with a brush, but blending sponges can make them look weird in my experience. I think I'm gonna be buying another colour or two. Perfect, is all I have to say. Beautiful color and creamy texture, a little goes a long way, and gives such a pretty flushed look to the cheeks and a gorgeously subtle, yet build-able touch of color to the eyelids. I prefer brighter, darker colors for the lips, but works perfectly there too, it's simply too close to my natural lip color for my liking. Super comfortable to wear, as it's unnoticeable, easy to apply and blend (I use my fingers), and so far lasts a whole working day without fading. Just perfect! I can't wait to try Lovesick and Datura, too! I've never owned a blush, so Desire is my first. It's a deep subtle colour, buildable, and looks great on the skin, without looking greasy or unnatural. Also tried it on my lips and it is a very good option for day-to-day makeup, it feels comfortable and looks matte-ish. A great option for those who don't like extremely bright pink blush! I had been eyeing the shade Desire for a while, because it seems like such an unusual colour. I finally got it and it's truly beautiful. It's incredibly pigmented and smells of lavender. The compact with mirror is handy and sturdy but also very portable, which I like very much. And after years of hunting for the perfect "cheeks flushed from the cold", I finally found it. I always thought that red would be it for my light neutral skintone, but instead, it's a cold light mauve. I'm ecstatic and I can't wait to wear it next Fall/Winter! I have shade lovesick and I have to admit I was surprised when I received it by how much darker it was than in the picture. It's not rosy, but more...purple-ish? It's still great tho. It melts into the skin, lasts the whole day, I swear, and a little bit goes a long long way. Awesome! I love it for a wing or for a grunge-y smokey eye. Or just on my lower lid. 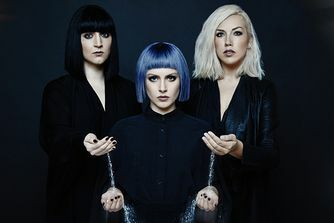 Dying to buy all of the colours. It was pigmented but feels like nothing on your skin. I bought the colour rapture and it looked very natural. It made me look flushed and healthy. I don't give 5 stars to anything! I got the delirium shade and it gives a beautiful and natural glow on my olive complexion, also it does not cling on dry areas and lasts even on bare or not primed skin. I am absolutely in love with this blush. Fresh, dewy, but not remotely oily, AND it actually hangs around on my combination skin! It's a dream to blend-just tap it in with fingers-and sits well over foundation or bare skin. There's nothing not to love. I have Delirium and now got Lovesick. Love this creamy formula, that blends so well, stays all day on my dry skin and looks so natural and healthy. Most natural and comfort cream blush! Highly recommend! I really like this product as a blush, it blends perfectly and it leaves a pretty flush on the cheeks. However, on my lips (i have a really dry eczema prone skin) the formula is too dry. When i add a balm on top of it, it really tends to crease. Also, i thought the product would be bigger, more the size of a powder compact. Despite these arguments I’m really glad with the product as a blush!